While the sweet potato has enjoyed the “healthy potato” status among athletes, both the white and the sweet potato should be considered nutritious. With that in mind, let’s dig in to the facts about these nutritious and ancient, tuberous vegetables. Interestedly, white potatoes and sweet potatoes are completely unrelated (from a botanical standpoint that is). White potatoes are from the Solanaceae family, related to tomatoes, peppers, eggplant and other "nightshade" plants. Plants in the Solanaceae family produce solanine, which is poisonous. 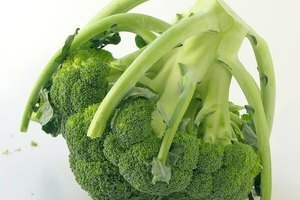 You should not eat the leaves or stems of any plant in this group, or potatoes that have turned green. Sweet potatoes are from the C_onvolvulaceae_ family and unlike white potatoes, you can eat the leaves of sweet potatoes, which are very nutritious. There are about 4,000 known varieties of white potatoes and about 1,000 more varieties of sweet potatoes grown worldwide. Both come in colors ranging from white to orange to purple. So, what's the main difference? It's the starch. 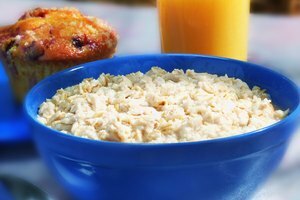 The starch content affects not only how fast they’re digested, but how they hold up in the cooking process and how they can be used in cooking, such as a thickening agent. 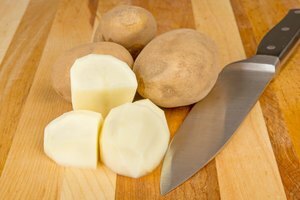 When comparing the starch content of white potatoes to sweet potatoes, it is important to keep in mind that with so many varieties, the starch content within each family of potatoes varies widely. For example, a white russet potato holds 33.8 g of starch, while the sweet potato has just 16.4g. 1 White potatoes with a starch content of up to 22% tend to have a fluffy (or "mealy") texture and are higher in starch (particularly amylose). They are ideal for baking or mashing. A white potato with a lower starch content, say under 15%, tends to hold up better in the cooking process and make ideal choices for potato salads, stews or roasted application. Russet potatoes, known for their consistent size, shape and texture, are ideal for use by fast-food restaurant and home cooks for French fries. They tend to hold up well when deep-fried. Sweet potatoes vary in their texture, cooking properties, moisture, and sugar levels: White, yellow and purple-fleshed sweet potatoes are typically the dry type, while the popular orange-fleshed sweet potatoes are moist. 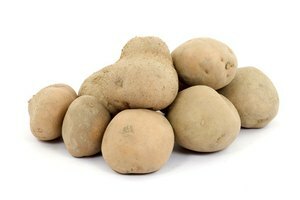 Like most tubers, potatoes contain some resistant starch — complex molecules that we can’t digest, which are then broken down by our gut bacteria in our large intestine. 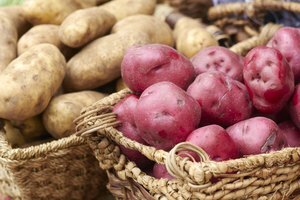 In comparison, white potatoes have more resistant starch than sweet potatoes. With so many potato choices to choose from, keep in mind your culinary needs and choose the type of potatoes that works best. All potatoes, white and sweet, should be cooked rather than raw. Baking, boiling, or roasting works well for both white potatoes and sweet potatoes. Combining your potatoes with broccoli, wild caught salmon or grass-fed steak makes for a nutrient dense meal. Craving french fries? A healthy way to satisfy that craving is with oven-roasted white potato wedges. For added spice, combine with mustard, garlic, or rosemary. Need a vitamin A kick? A carrot soup dish with sweet potatoes as a thickener with have your skin looking radiant.